We have been leading the way in protecting timber for over 80 years, innovating and moving the industry forward with world class products and treatment technologies. For customers using our preservative and fire retardant products within their own timber treatment facilities, we have a unique range of services and initiatives listed opposite that can help you and your customers to make the most of timber. 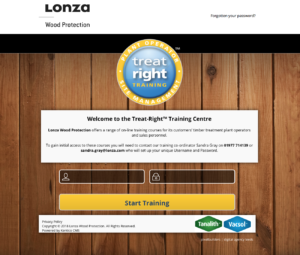 Visit our Treat-Right online training centre for level 1 plant operator and site management training.